Milly is really kawaii, but so sad here! ._. Nice scan of Milly! lool! Milly looks sad! no! where the hell is dearka, when u really need him, at leats to make you laugh! >.< Even sad she is so cute! Aww, Milly does look pretty and sad here. Wow! A Miriallia Scan! I've always loved her since Seed. I love her voice actor and her looks. She's so cute here but so sad. Thank you very much for this scan! 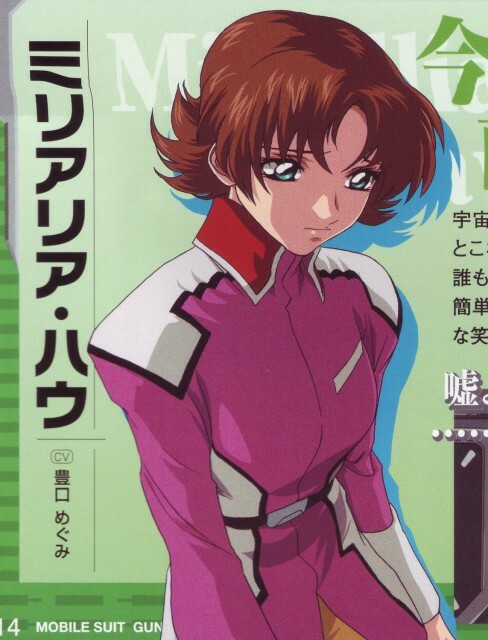 No offense to Miriallia, but I liked her in SEED for the fact she was Dearka's girl. But ofcourse it didn't last long, nor did my likings to her. She's still cute though. aww, Milly-chan... she looks like she's in mourning. 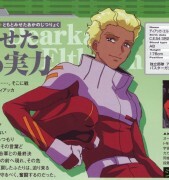 Milly is one of my favorite characters from gundam seed! she's cute especially with that uniform! Thank you for sharing this scan! she looks so sad! i feel like hugging her!